This past Tuesday night, I hit refresh on my internet browser every five minutes. Even though Nika Elguardo had been declared a winner in her race, the numbers were not adding up for me. So I hit refresh and refresh and refresh. I watched her numbers rise and felt my heart beat faster. High on the election of Ayanna Pressley and Rachael Rollins, I hoped that Nika would also win. This week, in synagogues around the world, people will read Parshat Nitzavim. Here you are, Moses begins, all of you, and I’m going to tell you something: “Surely this mitzvah that I command you on this day is not too wondrous for you, it is not distant from you. It is not in the heavens… it is not across the sea… it is in your mouth and in your heart. (Deut 30:11)” Ramban (Nachmanides, 13th c, Spain) understands the words “surely this mitzvah” to mean the Torah. Moses declares to the Israelites: “this Torah that I’ve been serving as the moderator of for the last 40 years, it is for you and you can handle it. This Torah is yours.” Rambam also understands “this mitzvah” to mean teshuva, the act of returning, of repair, of healing. And so Moses is adjuring all present, “you who stand here this day, all of you (Deut 29:9), you have the capacity to return to their best selves, to heal the wounds they have caused, to repair the trauma of the past. “This day,” says Moses. This day in the narrative of the text and this day in the narrative of our lives. On this day, the set of guidelines that you, that we, are going to live your life by and the capacity to make mistakes and repent, to wander off and to return, are things you, things we, have. Torah that I have chosen to live my life by is following the leadership of those who are most impacted by the systems of oppression. I understand this both as an imperative in its own right and as part of a system of reparations that can heal our world from the racism and other oppressions that has torn it apart. In Boston this week, we witnessed this Torah in action and, I hope, a small tikkun (healing) take place. The elections of Ayana Pressley, Rachael Rollins, Nika Elaguardo, and Liz Miranda are evidence that the Torah of racial equity is not to far from us, that the mitzvah of repair and healing is in fact within our grasp. R’Yehoshua ben Levi teaches: Why does Moses specify on this day? To teach that mitzvot should be done today, not tomorrow. Do them today even though you receive no immediate reward (b. Eruvin 22a). It is further taught that you should taste from the food cooking for Shabbat on Friday (Shibboley ha-Leket 82). To understand this, remember that this world is the Sabbath Eve that prepares for [the ultimate] Shabbat. That is the meaning of the mitzvah that I command you on this day. This day indeed means that although you must fulfill the commandments today, you will only benefit from them in the future. Still, it is not too wondrous for you, the reward is not hidden from you, and even in this world you can experience in fulfilling the commandment some of the world to come. The verse continues: it is not distant from you. The pleasure from mitzvot is not unattainable. We should put this Torah into practice today, because this world we live in is the preparation for the ultimate Shabbat, the world to come. And even more so, by doing these mitzvot we experience the pleasure of them, a taste of the world to come. My vision of the world to come is one in which every person is able to live their lives in a way that expresses the inherent dignity of their being, in harmony with the earth we live in, and with those who we live with. The excitement folks around me expressed on Tuesday night, the tears we have wept watching Ayana Pressley find out she won her primary, the thrill of being part of something that is unprecedented and huge -- these are all tastes of the world to come. Zeh hayom asa Adonai, nagilah v’nismecha bo. This is the day that Gd has made, rejoice and be joyful in it. But we are still not living in the world to come. These amazing women are not the messiah. They are smart and passionate and equipped to address the systemic oppression that exists in Boston and in our world. They are also human. And so, we must continue to do our part - to elect more progressives, to organize for social change, to raise our own consciousness, to figure out our role in holding our elected officials accountable - to enact the Torah of justice that is not across the sea, rather in the mouths and hearts of organizers around the world, and in our mouths and our hearts, if we want it to be. We must continue to walk the path of teshuva, of return, of tikkun, of repair and healing. May this Shabbat and the coming Days of Awe, return us to our true selves, connect us to community, ground us in holiness, and prepare us to do the holy work of building a more just world. Grateful for so much of the past five days, the past two weeks. I did not imagine that my rabbinate would include chairing the boards of The Jewish Studio Project and SVARA: A Traditionally Radical Yeshiva. Yet it is work that I find deeply meaningful and filled with Torah. I am working diligently to learn the new skills required for this role and to embrace the role itself. There is, as always, potential for more reflection. I’ll leave you with these words which were sung in beautiful harmony no matter whose voices were in the room. Adapted from Batya Levine’s adaption of Haudenosaunee saying. And I promise a short break from posts about these two transformational organizations. Fair warning: I have two Keshet LGBTQ & Ally Teens Shabbatonim in March. "Welcome to Mitzvahland!" Rabbi Benay Lappe, Rosh Yeshiva at SVARA: A Traditionally Radical Yeshiva, exclaimed these words each morning after we recited the blessing for Torah study. For me, it was an explicit reminder that we were entering a specific place, a land that can exist anywhere but might not exist everywhere. Studying Talmud can be conversation at its deepest. Learners are in conversation with the text, with each other, with other folks who are learning, and with the divine. The text inspires questions and conversation sparks of all kinds, some involving the more mundane aspects of living on earth and others the interplay between divinity and our lives. The daily morning liturgy includes an allusion to the creation of the world, Baruch she’amar v’haya ha’olam, Blessed is the One who spoke, and the world came into being. The world was created through speech; we enter "mitzvahland" through the uttering of a blessing. We build worlds through our words and conversation with each other. This is at the center of what we can build through Beyn Kodesh l'Chol. Words alone don't build worlds; we need action as well. Yet, words can announce our entry into mitzvah land, sanctify time, tie us to the very creation of the world, and connect us deeply to each other. Words and conversation create relationships that create worlds. The Exodus from Egypt began with a groan (Exodus 2:23), was punctuated with a scream (Exodus 12:30), and will conclude in song (Exodus 15:1,20). The arc of liberation begins with the acknowledgement that one is oppressed, moves through the pain of that acknowledgement and the work to become free, and ends with the deep joy that can only be expressed through song. 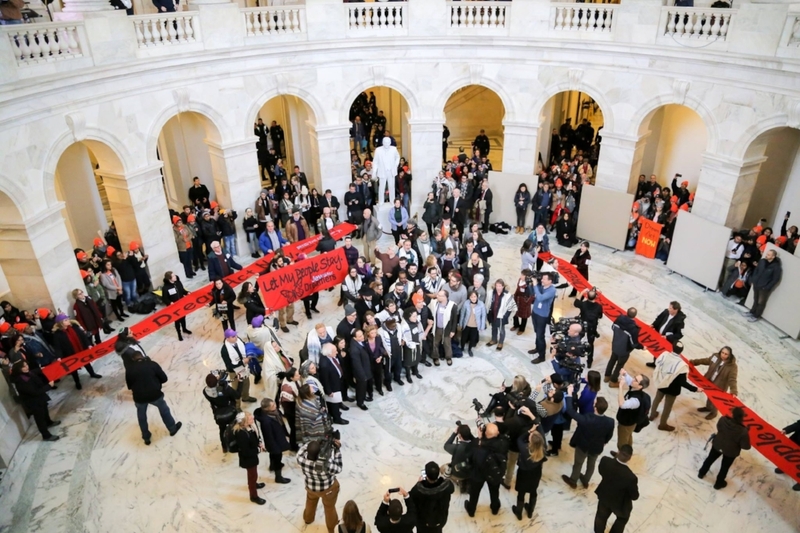 I watched in awe on Wednesday as 84 of my colleagues at on the Capitol rotunda floor, singing songs of liberation and waiting for their arrests. I can imagine the screams of parents and children who are separated each day by ICE, and I hear the collective groan that reverberates through Facebook each time a new affront to human dignity is announced. This, too, is Torah. We read in this week's Torah portion, Parshat Bo, that an erev rav, a mixed multitude, came out of Egypt with the Israelites (Exodus 12:38). Nahum Sarna explains that "varied groups of forced laborers seem to have taken advantage of the confused situation and fled the country with the Israelites (Sarna, JPS Torah Commentary: Exodus, pg 62)." Our redemption enabled other to attain their freedom. I imagine Israelites looking at this mixed multitude and deciding that in this moment, their priority was freedom and all those who wanted to join them in this pivotal moment were welcome. There are sources in our tradition who identify the mixed multitude with as the instigators of the Golden Calf (Tanhuma, Ki Tissa, 19) and those who complained about the lack of meat (Ibn Ezra, Numbers 11:4). These are serious obstacles in the Israelites development as a nation, as a people. Once past the adrenaline of the initial escape, there is more room for fear of the other and assigning blame in the face of the unknown. These days Jews are both fighting for our own liberation and in the position to be freed by the liberation of others. Perhaps it is useful to ask where we are in our journey to freedom and where are others. As Nelson Mandela said, "to be free is not merely to cast off one's chains, but to live in a way that respects and enhances the freedom of others." We can focus on the pivotal moment that the Dreamers are in or preference the fear of the unknown of our own status in the world. We can act to enhance the freedom of others, knowing that it increases our own freedom. The work of liberation is not a binary proposition; rather, it is a messy journey along an unknown path not so different than the one our ancestors found in the desert. May all those who live on this earth find a path to freedom and peace. “What does it mean to be a Jew?” is a question that spans time and place. “What does it mean to be Jewish?” is its cousin. “Who is a Jew?” a not so distant relative. For many of us, these questions shape our understanding and exploration of who we are as individuals, what it means to be human, and what it means to be part of the world we live in. Who we are as people and as Jews are not distinct or separable, they are deeply intertwined experiences. Perhaps you, like me, believe that Judaism and Jewish tradition can provide a valuable lens through which to try and understand these questions, maybe even to answer them. Perhaps you’ve also found that they can provide a container for forming deep relationships with other people and the divine (if you believe in the divine and/or think these are separate ideas). Perhaps you hear within them a call to contribute positively to the world. If any of that sounds like you or an idea that you’d like to explore, I hope you will join me on this journey with Beyn Kodesh l'Chol. Beyn Kodesh l'Chol is a community in formation for Jews (and Jewish-adjacent folks). Join us for in-person events, explore our blog and articles, find time for a one-on-one conversation, engage with Jewish rituals, and find a way to connect to each other and the Jewish tradition. Beyn Kodesh l’Chol is an invitation to co-create a space to deepen the intersections of our Judaism and our humanity, of holiness and everyday living, of our identities. Jewish community comes together often: for ritual, for learning, and for action. We will come together in conversation first, allowing the act of speaking face to face to guide us. 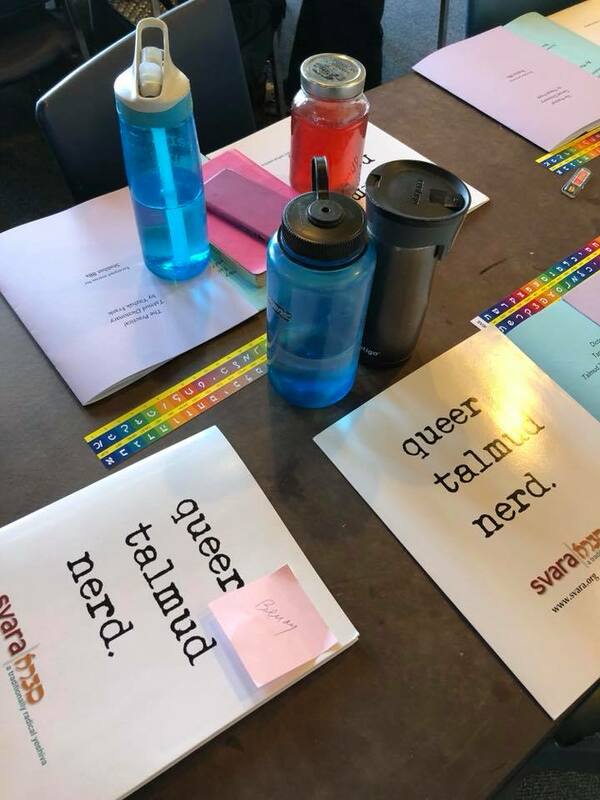 Together we will explore the ways we are connected to each other and the Jewish tradition in an explicitly LGBTQ embracing, anti-racist Jewish space that seeks to center the voices of those on the margins. My teacher, Rabbi Art Green, considers himself a seeker and calls his students who have become rabbis to be seekers. To be a seeker is to acknowledge the primacy of the question and the journey over the result. To be a seeker relies on cultivating an ethic of curiosity and an openness to following things where they may lead. It requires the kind of deep trust that comes over time. 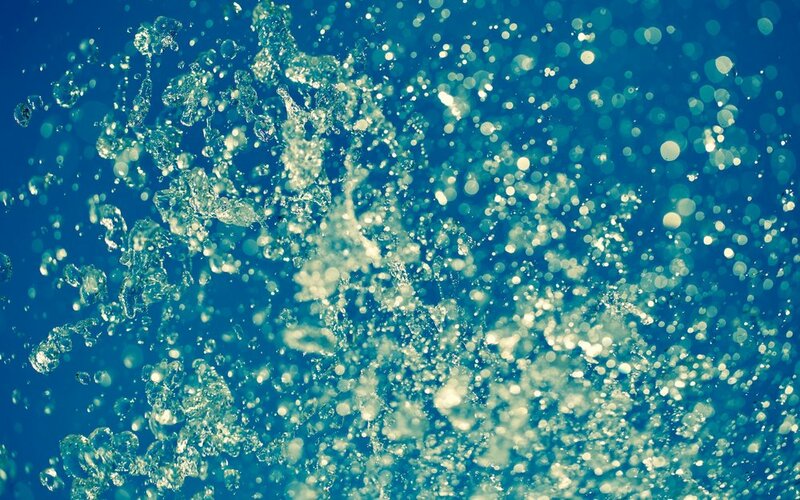 On the deepest level, seeking is an act of transformation. We live in the between spaces that Rabbi Anisfeld names and so many others. This is where we will begin and I would be honored if you would join us.